The book opens in China, 1962. Andrew Mlangeni is one of a small select group undergoing military training. The unannounced visitor is Mao Tse-Tung. 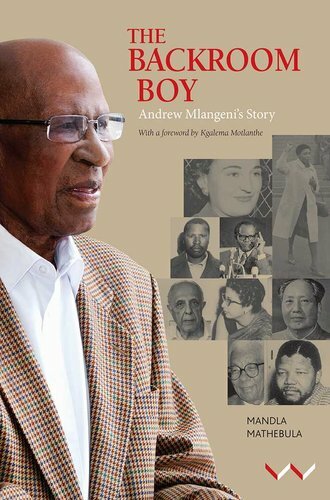 While still at school, Andrew Mlangeni joined the Communist Party of South Africa and also the ANC Youth League. These were the organisations that shaped his values. Decades of resourceful activism were to lead to his arrest and life sentence in the Rivonia trial. Mlangeni's lifelong commitment to the struggle for liberation reverberates with other biographies of leading figures. His perspective comes from a somewhat ambiguous position in the hierarchy of liberation leaders. Mlangeni was selected as one of the first-ever six members who received military training in China before the formation of Umkhonto we Sizwe. He seems to have been chosen because he was a dedicated, intelligent and dependable operative, rather than a leader. Even after his release after 25 years on Robben Island, Mlangeni was not given a senior position in the post-apartheid democratic government. 'I was always the backroom boy,' says Andrew Mlangeni about himself. This story of an ANC elder is a rigorously researched historical record overlaid with intensely personal reflections which intersect with the political narrative. Above all, it is one man's story, set in the maelstrom of the liberation struggle.